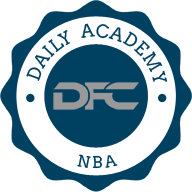 More so than any other DFS sport, being on top of the current injury situation in the NBA is 100% vital to daily and long-term success. With news coming out at the last minute seemingly every single night, in order to be a successful NBA DFS player, you need to be plugged in to Twitter up until the final minute prior to lineup lock. If you're a DraftKings player, be prepared to monitor injury news all night long in many cases, right up until the final game locks. Even just one injury to a key NBA player can have a domino effect in the DFS world, from a value player stepping into a bigger role to having additional salary to distribute across your lineup. If you aren't around to take advantage, you're instantly behind the 8-ball and it will be very difficult to overcome. Now that we've stressed the importance of KNOWING who the value play(s) are on a given night, let's discuss what to do with the information. Let's start out with a few examples. Injuries to key offensive players and key defensive players can both be keys. Many players may overlook the impact that a dominant defensive player can have on your DFS rosters, but this can be a vital error. Here's an example: If defensive stalwart Rudy Gobert sits out, you aren't necessarily rushing to play a Utah Jazz backup center. Why? Because the Jazz play at the slowest pace in the NBA, which means less possessions and less production (also because there is no viable backup C in Utah with DFS value). However, what this does open up is potential for the opposing offense, not only with individual matchups down low, but with guards who attack the basket (Tyreke Evans, for example). A team missing their key defensive player is often times more valuable for the opposing offense, rather than producing value for the Jazz offense. Similar situations can have a different ripple effect. Paying attention to usage rates is key at times as well. The best example in the NBA of this situation is the Oklahoma City Thunder. While both Russell Westbrook (38.4%) and Kevin Durant (29.1%) dominated the usage, but when the one of them sits out, those numbers increase in a big way. With Durant out, Westbrook's usage rate jumps to 42.2%, while Durant's jumps to 32.6% with Westbrook off the court. If one of these two sits out (especially Durant), the other becomes a near must-play in most formats. Any time a player misses a game due to injury, it is important to look at their usage rate and determine how much production needs to be replaced in the offense. Next up, finding the usage rates for the players that will be playing with (injured player) sitting out. The best way to do this is to head to NBAwowy and type in the injured player. The process is very self-explanatory. The site will spit out the numbers for each player on the court with (injured player) sitting out, and you can compare those numbers to their usage rates with (injured player) ON the court to determine which players will see the greatest boost in usage in a given situation. Once you have determined the players that will see the most sizable bump in usage with (injured player) sitting out, you've successfully found your value play. These are the players that will be highly-owned on a given night, and the ones you NEED to have in your cash game lineups, as well as many of your GPP lineups. It is important to take into account the individual and team matchup when finding your value plays as well. There are instances where a player may see a marginal bump in usage rate, but a tough matchup may take away from their potential production in that matchup. One very important factor in all of this is taking time to know each team's depth chart. It seems like a daunting task, but when you consider the fact that most teams only have 8-10 players who will see even a marginal amount of minutes on a given night, it isn't as tough as it seems. Another thing you can look at is rotations. You'll notice that certain players are on the court together for a reason. Obviously the starting lineup is an easy one to decipher, but once you dig deeper, looking at the bench rotations can provide you with another edge over the average DFS player. If you take time before the season to familiarize yourself with each team, their depth chart, and their rotations, you'll be placing yourself ahead of the curve right away. Once again, if you have any questions, we would love to hear them in the forum, or reach out to us on Twitter @dfcafe!